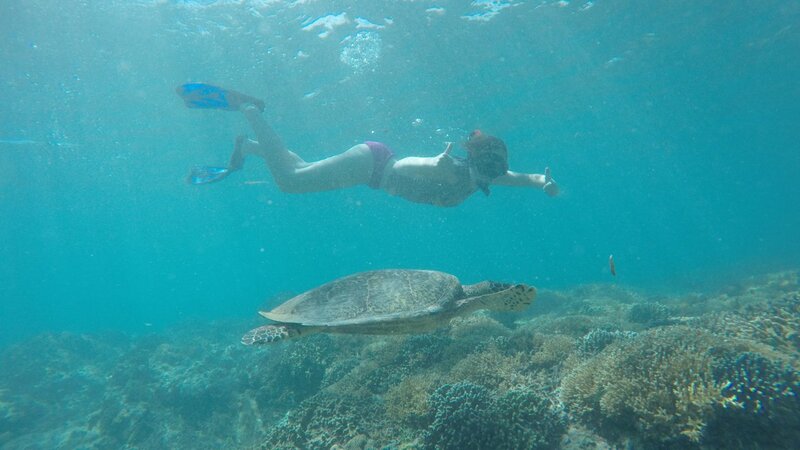 For travellers who stay in Senggigi and want to see or visit Gilli islands, this day tour is highly recommended. 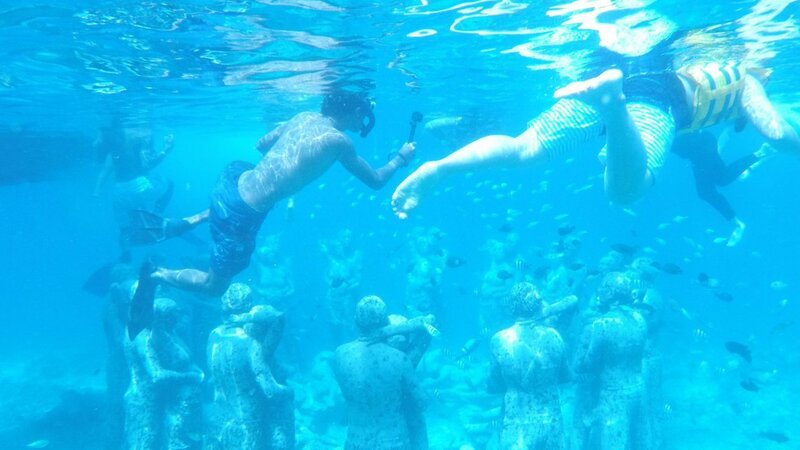 Once you go, you will see why it is recommended! 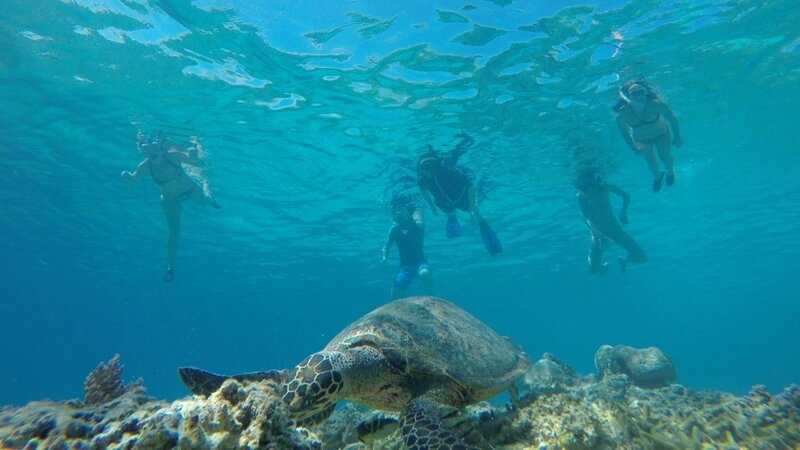 This is a great day trip to experience all three North Coast Gili islands in private trip. 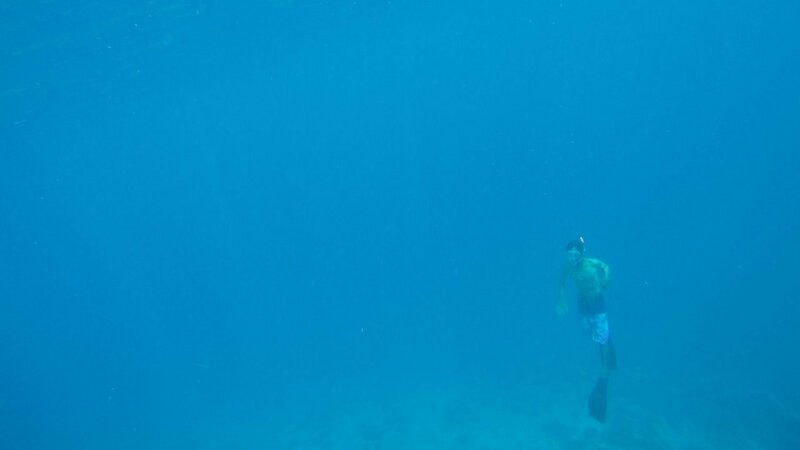 After breakfast around 8.45 am, our guide and driver will pick you up in your hotel and drive you to the pier, along the way you will see beautiful landscape before reach the pier. 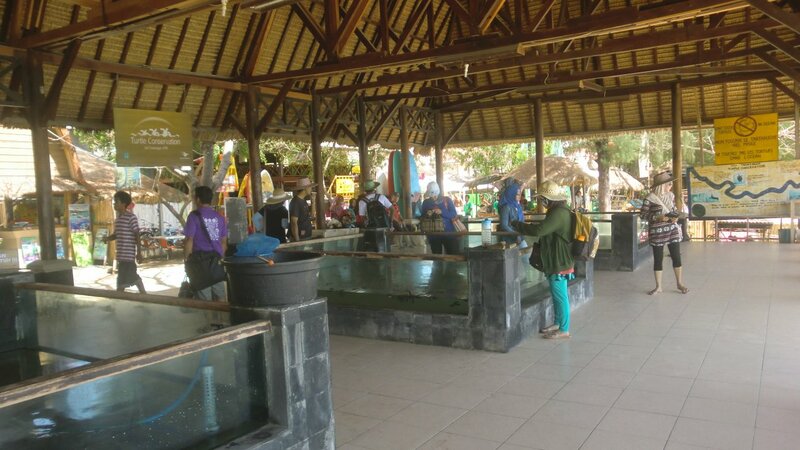 Arrived at the pier, take boat charter to your first Gili, Gili Trawangan. 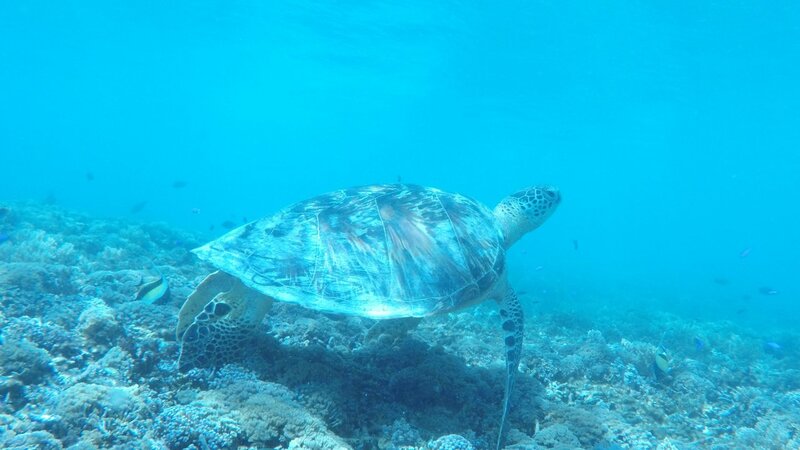 In Gili Trawangan you can do snorkeling and witness nomerous kind of beautiful and colourful coral and fish, you can also visit Turtle Conservation, enjoy the island atmosphere by walking, cycling, or horse cart. 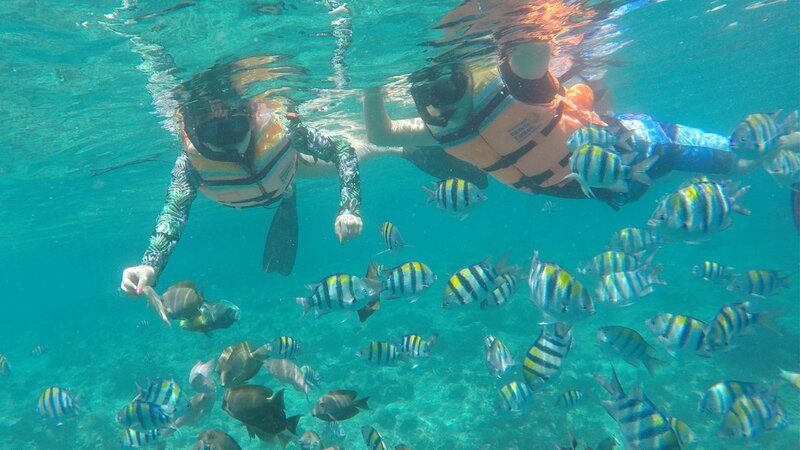 Done with Gili Trawangan, then move to another Island (Gili Meno) where you can do snorkeling from the boat. 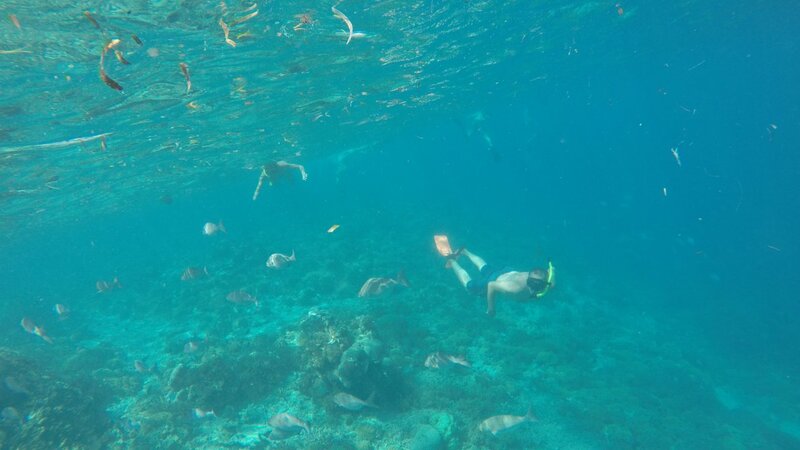 Gili Meno is our main snorkeling spot during the trip, you will enjoy different atmosphere of the island with the crystal clear water and idyllic, secluded white beaches and this island also known as the quietest and smallest of the islands among the three. 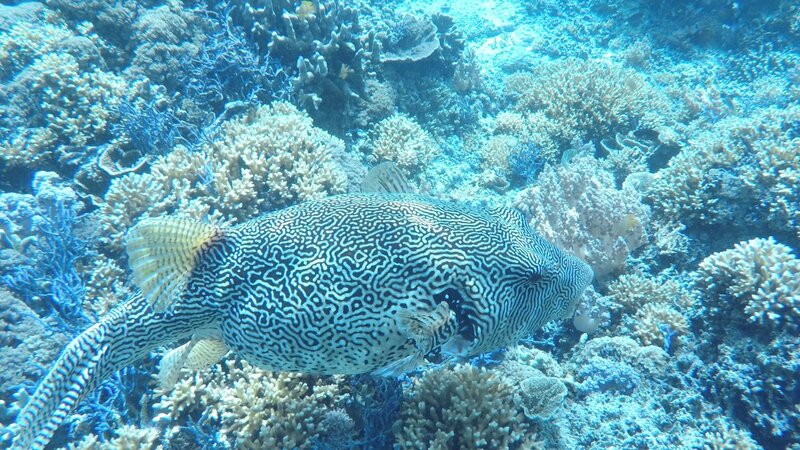 Done with Gili Meno, then head to the last island, Gili Air, where you can take lunch at local restaurant around the beach area while enjoy nice view from the restaurant. 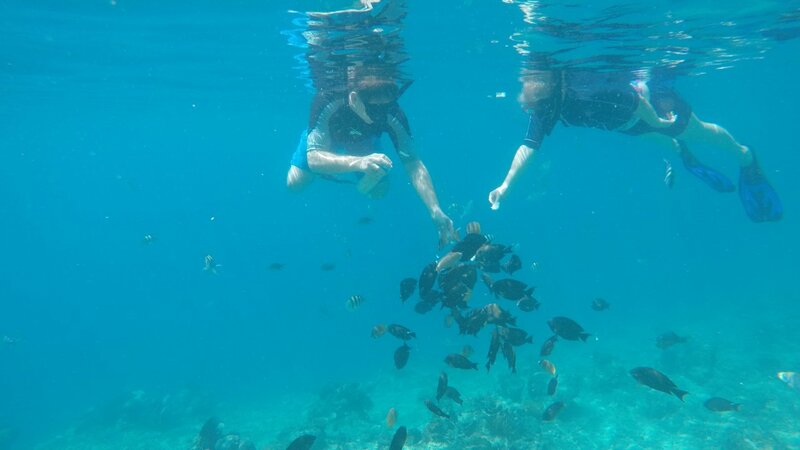 After lunch, you can do snorkeling again and do fish feeding in Gili Air, also playing with many friendly fish and turtle. 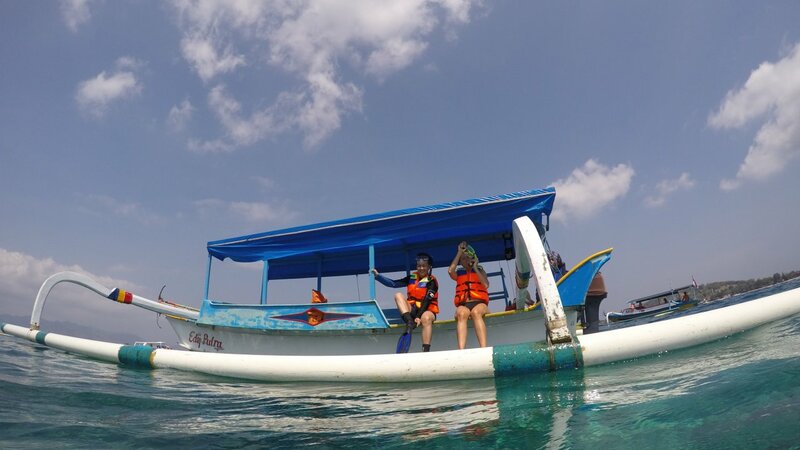 After all snorkeling activities over, then back to Teluk Kodek pier, arrived at the pier our driver will take you to your hotel, on the way back we will stop over at Nipah Hill to see 3 Gili Islands and Mount Agung Bali when the weather is clear. 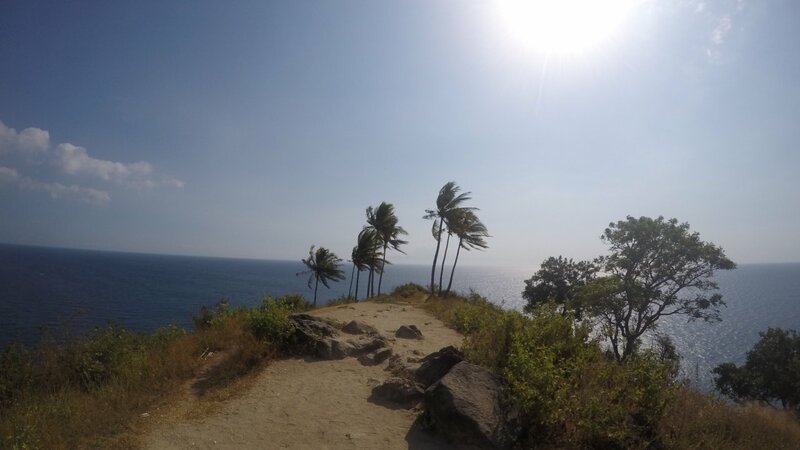 Nipah Hill is one of the best spot for taking picture and selfie photo. Arrived at the hotel, end of program. Thank you.